Megellas Fairy has been jumping around distances and grades lately but finds the right field and distance here over 500m at Bendigo today off box one. Has won 10 of 36 starts and only ever started twice from the inside box for a win and a second. Drawn to lead and get the run of the race. BetEasy have gone up $1.65 with Bet365 betting $1.70. Etiquette looks the bet of the night from Traralgon tonight. The winner of 10 from 41 has drawn the inside in a fairly low fourth / fifth grade short course race where she has a decided class edge. Looks like Etiquette only has to beat Vitaliser for early pace to lead this comfortably and is the strongest dog in the race so shouldn’t be getting run down once in front. 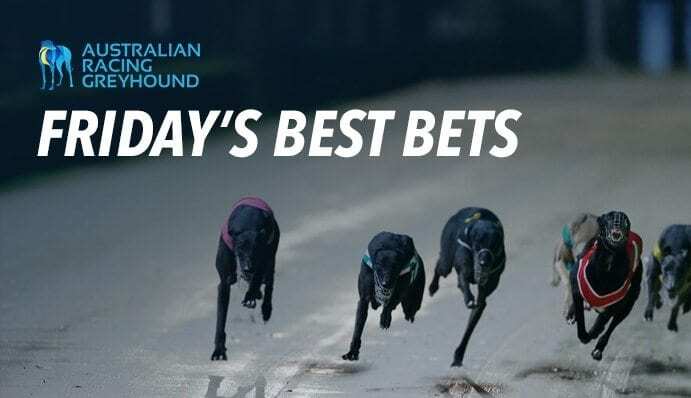 BetEasy are betting $1.95 with just Bet365 offering better at $2.10.